You are bombarded with new strategies, new algorithms, new things to learn, and an extensive checklist of things to do. Not just any checklist, but an endless one of Social Media tasks you can never get ahead of. It nags and suffocates you. You've created a business, but you're still chasing your dream. I'm going to teach you how to not only expand your business but set you free from the social media rat race. You want to increase website traffic, WITHOUT costly ads. You want to increase your visibility online. You want to re purpose the content you poured your heart and soul into already. Pinterest Foundations, a step by step program to create a Pinterest account that increases your visibility using FREE online traffic. 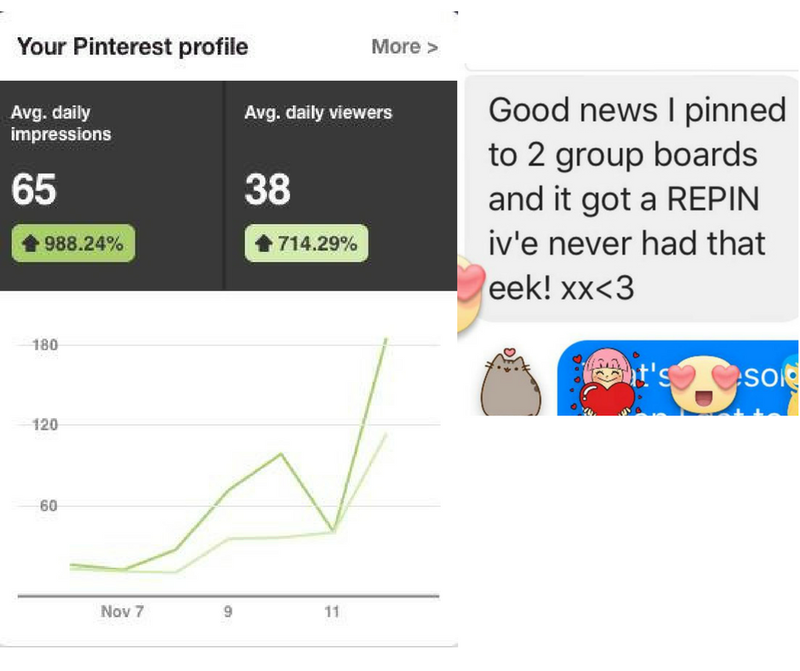 - You are ready to learn how to create a Pinterest account that gets you results so you can reach more people in less time. How to set up your Pinterest Business account properly so that you are using Pinterest to your maximum advantage for your business. How to set up your account for maximum Pinterest SEO so you ideal client finds YOU when they search Pinterest, rather than you having to try and find them. Understand branding for Pinterest so you can show your business's unique flavor and pull in your ideal audience to grow your list with ease. How to find and use group boards to grow your reach organically, so you don't have to spend money on ads just to make money in your business. How to use and set up TailWind so your account is always active and sending traffic to your website for FREE while you sleep - hello automation baby! My top strategies for using Tailwind to schedule your content in a way that gets you optimal engagement and brand visibility without having to post daily on the platform. My passion is helping others. My speciality is Pinterest. Sure, you have flexibility, but your to-do list is ever growing. You are growing, but losing your passion in the Social Media rat race.